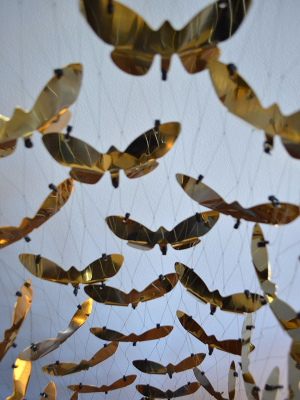 Using Zero energy this installation recreates memories of summer when moths congregate around the outside lights. 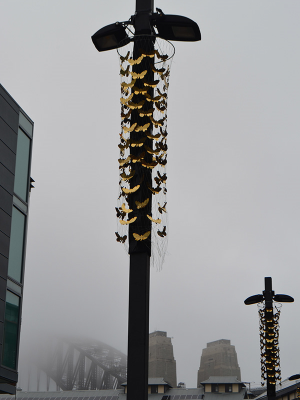 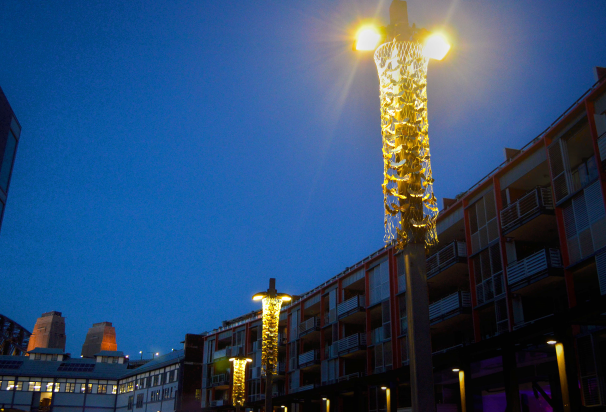 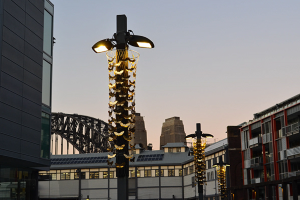 The installation uses public lighting in conjunction with gold plated metal moths to create a golden glow reminiscent of warmer days. 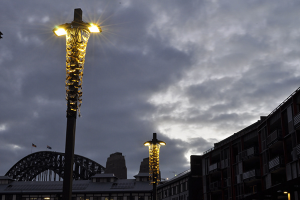 Artists Ruth McDermott and Ben Baxter.